Jennifer McQuerrey Rhyne of Affordable Cleanup LLC in West Virginia said some of the items, such as tubing and a clear liquid found in a glass jar, could point to a possible meth operation. “There's so many different ways to make it,” said McQuerrey Rhyne, a managing member and clandestine drug laboratory remediation technician with the company. 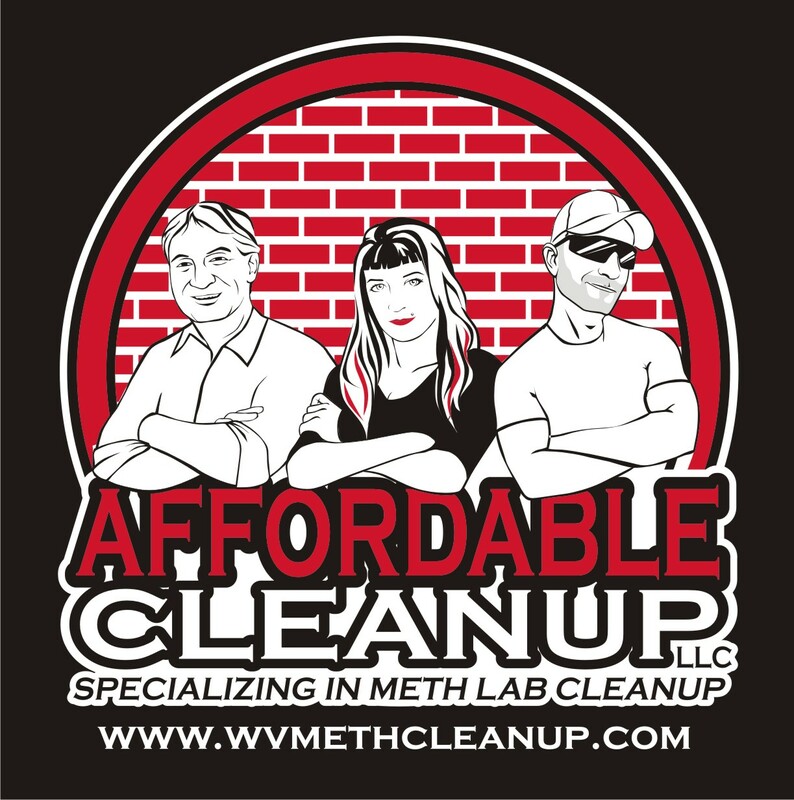 Affordable Cleanup, a meth lab cleaner based in Scott Depot, estimates the total cost to a landlord if a lab is discovered in a small house, at about $17,500. Illegal meth labs also ruin the lives of law-abiding homeowners who live beside residences where criminals cook meth, said Jennifer Rhyne, co-owner of a business that specializes in meth lab cleanup, which can cost more than $17,000 for a single house. A lab in an apartment building can contaminate an entire floor of units. "It can result in the loss of innocent tenants' belongings and their housing through no fault of their own," Rhyne said. "They must vacate immediately if their unit is contaminated. All the contents go right to the Dumpster." In Huntington, an elderly woman was recently forced to leave her home because her grandson cooked meth there, Rhyne said. "She lost precious family heirlooms," Rhyne said. "She was embarrassed about the situation. It was a big mess." Additionally, the conference will address what to do about methamphetamine labs on landlords' properties. "There's no getting around the meth issue," Rhyne said. "Landlords are terrified, [because] insurance won't cover it." Someone from Affordable Cleanup, a Scott Depot-based business with which Rhyne is associated, will talk about how to recognize a meth lab, what to do if their property is busted for a meth lab and about state funds available for cleanup as long as landlords did not know about the meth labs. "The big mission is to educate landlords on how to be responsible landlords," Rhyne said. This article appeared in The Ireland Times. Jennifer Rhyne, owner of Affordable Cleanup, a meth-lab remediation company, and two staff are working on the mobile home in the town of Scott Depot, 30km west of Charleston, the state capital, beyond chimney stacks and chemical plants that billow smoke skywards. The “shake-and-bake” meth-making method that is popular in West Virginia involves a plastic drink bottle, salt, lithium from a battery, basic household chemicals and a key ingredient, pseudoephedrine, from over-the-counter cold medicines. It takes an hour to make meth this way. “All we have ever seen is the shake-and-bake method. Landlords say this isn’t a lab. Shake and bake is a lab. It’s a lab in a bottle,” says Rhyne. Dressed in full-body hazardous-materials – or hazmat – suits and respiratory masks, Rhyne’s staff work through the mobile home, which is still scattered with personal belongings and toys, now toxic from the meth chemicals that can cause major respiratory problems. Jennifer Rhyne, the president of the West Virginia Landlords Association, said there’s another side to the issue. She stressed no landlord intentionally rents out their property to meth makers. “As much as we screen tenants, do credit checks, do criminal background checks, it happens. Sometimes it’s somebody who has never had a criminal record before and they come in and do this and it only takes an hour to cook a batch of meth,” explained Rhyne. This article appeared in El Mundo in Spain. Therefore, it is in Spanish. It discussed meth lab remediation and the issues with meth labs in WV. There are meth busts on the news every single night, but have you ever wondered what happens to the house after the bust? That's when Affordable Cleanup LLC usually gets a frantic call from the homeowner. Jennifer McQuerrey Rhyne, Heath Barnett and Joe McQuerrey jump in the van and head to the house. According to statistics from the U.S. Drug Enforcement Agency, methamphetamine seizures peaked in 2012 – when officers removed about 10 thousand pounds of the drug off the streets. That year, Jennifer McQuerrey Rhyne started Affordable Cleanup LLC in West Virginia. When the drug team and police leave the scene, Rhyne steps in to clean up the dangerous residues a meth-making operation leaves behind.